Thanksgiving is a time when we gather together with family and friends and enjoy a bountiful feast of our favorite holiday foods. However, how many people in the United States know or care about the story behind the Thanksgiving holiday and why that day was chosen to acknowledge God as the beneficent giver of blessings? The year that is drawing towards its close has been filled with the blessings of fruitful fields and healthful skies. To these bounties, which are so constantly enjoyed that we are prone to forget the Source from which they come; others have been added, which are of so extraordinary a nature, that they cannot fail to penetrate and soften even the heart which is habitually insensitive to the ever-watchful providence of Almighty God. No human counsel hath devised nor hath any mortal hand worked out these great things. They are the gracious gifts of the Most High God, who, while dealing with us in anger for our sins, hath nevertheless remembered mercy. It has seemed to me fit and proper that they should be solemnly, reverently, and gratefully acknowledged with one heart and one voice by the whole American People. I do, therefore invite my fellow citizens in every part of the United States, and also those who are at sea and those who are sojourning in foreign lands, to set apart and observe the last Thursday of November as a day of Thanksgiving and Praise to our beneficent Father who dwelleth in the heavens. In testimony, whereof, I have hereunto set my hand and caused the Seal of the United States to be affixed. Giving thanks acknowledges our trust and faith in our Creator. We might not understand many things, but regardless of our circumstances, we are to praise, trust, and thank God. For He tells us to praise Him no matter what happens and constantly speak of His goodness, grace, and kindness as we exalt His Holy name (Psalm 34:1-3). 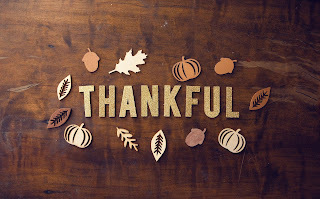 The world is a seething cauldron of hatred, anger, threats, and fighting, yet we have God whom we can turn to and be thankful for all that He provides and does for us. If nothing else, we can be most thankful that God sent His Son, Jesus Christ, to be the propitiation for our sins. Because of His great sacrifice and our acknowledgement of Him as Lord, we have a place reserved in heaven with Him. That alone gives reason to be exceedingly grateful. 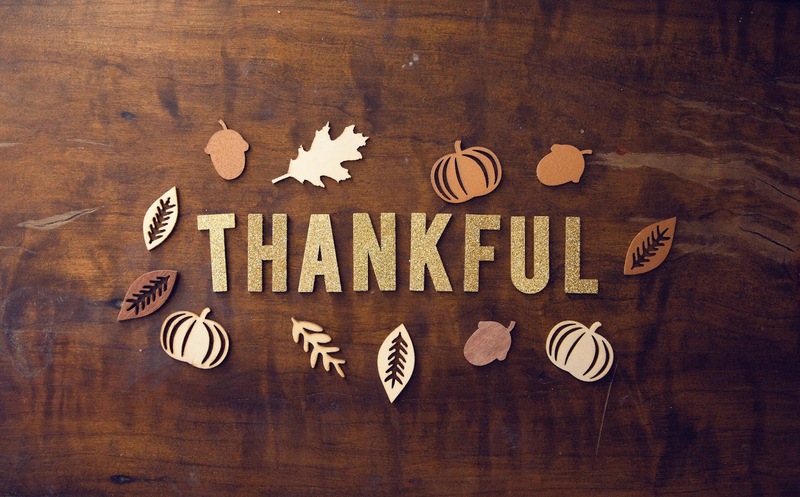 Three years into my journey as a Christian, I learned the importance of thanking God. It was 1974. I was a divorced, single mother of a three-year-old son, caught up in a bad recession. Multiple companies were firing large numbers of employees. Rumors swirled that our company planned to fire between three and four-hundred people, but God's peace was with me as I trusted and praised Him. The day before Thanksgiving, I was called into the boss's office, where he and another boss reluctantly informed me that the company viewed my job as superfluous; therefore, my position in the art department had been cut. They both exchanged looks as I assured them that God had a plan for my life and that everything would be fine. Of course, I did not have one clue what that plan was, but I trusted God. I pursued the possibility of returning to college and within a very short time, God made a way. My tuition and books were paid through a scholarship fund, and I found a job on campus through the college's work-study program, which allowed me to work around my classes. The Lord took care of every detail, including daycare. Psalm 37:25 says, "I was young and now I am old, yet I have never seen the righteous forsaken or their children begging bread." My young son and I always had food to eat, and I was able to pay my bills each month. God proved then and continues to prove that His provision is limitless. His storehouse never runs empty to those who have surrendered their life to Him. Despite losing my job, I praised God for His faithfulness, and He met my every need. The puritans had lost half of their community, yet they gave thanks to almighty God, and He provided the means to sustain life. President Lincoln was in the middle of a Civil War, yet he called a nation to give thanks for God's blessings and eventually led the Union to victory, ending slavery in America. Often what appears to be misfortune, trouble, or adversity, is actually a vehicle for blessing. Many had viewed my firing as a disaster, but it was one of the greatest blessings in my life. It enabled me to complete my degree with honors and eventually teach college. God wants to do great and marvelous things in our lives. However, for us to receive, we must trust, believe, and give Him thanks before we receive, because His thoughts and ways are not our thoughts and ways (Isaiah 55:8-9). Thus, He wants us to trust in His goodness and not lean on our own understanding, for He looks for those who will believe and trust Him to meet their needs. Let us, at a time of such great uncertainty in our world, be faithful to pray daily for this nation, our leaders, our government, and the world. May we always, and not just on Thanksgiving, be grateful for God's many blessings and bounty provided to us and to America. And may we place our hope and trust in Him, who is able to spill abundance into our lives from His great storehouse. PRAYER: FATHER, thank you for Your many blessings. You are a faithful Father who knows my every need and provides for them. I pray blessings and protection over my family, friends, and this Nation's leadership. I pray that the people of America, who have enjoyed blessings and freedom, will not take them for granted but will recognize the favor that has come from Your hand. May hearts be turned to You this Thanksgiving Day and ever day with gratitude for all that You provide. In Jesus name, amen.